This year, my good friend, and fellow ACL author, Logan Judy wrote a post called, “5 New Year’s Resolutions for Christian Apologists”. One of his resolutions was to, “read more from both sides”. Well, Mr. Judy, challenge accepted. My first book from the ‘other side’, is The God Delusion by Richard Dawkins. A ton of articles reference the book. I even saw a bold little tot flaunt its brilliance on a YouTube channel. This book is a commonly used source text for a lot of atheists. 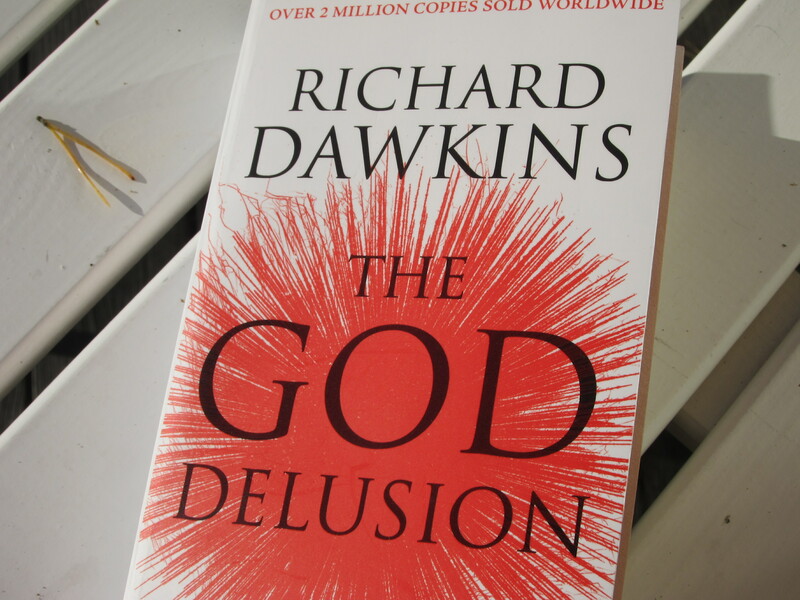 Here’s the bottom line: I think Dawkins failed atheism with this book. In order to support my contention, I have two distinctly different options available to me. I could talk about how Dawkins’ own book has been “composed” and how I’m currently reading the Kindle edition, slightly revised for my viewing needs. Or, about a how at least a handful of editors have translated this book for many languages. I could go on and on about this double-standard and why preserving a book requires edits and “improvements” but none of those necessitate changing the message, context, or understanding of the book. Never mind the fact every book goes through revisions. I could take a systematic look at the message Dawkins is conveying and apply a different perspective. Grab hold of the pieces that make sense—the really good parts that contain a thoughtful perspective. I could hold it up to the Light and see where I share the same view, see where my views differ, and evaluate how to reconcile those differences. That’s the approach I want to take. That’s the approach I will take–later. You do realize consciousness is not physical right; it doesn’t come about naturally. At the very least, it doesn’t come about routinely. It’s not repeatable; it’s not testable; you don’t find it in a lab. It is, for all intents and purposes, beyond natural. Or, as some would say: the rise of consciousness is, in and of itself, super-natural. Oh the irony. In other words, the mind is nothing more than a series of chemicals reacting to external influences. From this position, raising an atheist, or a theist, is merely a matter of adding the right amount of data to produce a desired result. The irony is: if this is true, then Dawkins is wrong. And if it is false, Dawkins is wrong. In fact, the only way for atheism to be a “realistic aspiration” is if God exists. In other words, if Dawkins and Niose are right, we have no reason to believe them. For all we know, they are merely conditioned to present their opinion. More conditioning from the ‘other side’ could change the way Dawkins and Niose see the question of atheism. It’s one of the reasons science changes so much; there is no foundation to the view. Moreover, if Dawkins and Niose are wrong and we do have the ability to choose our answer to the God question, then atheism is a belief system. It is a positive choice to a negative answer. More on this in the next point. 3. You can be an atheist and…intellectually fulfilled. Nope. To illustrate this, let’s look back at the first point, the rise of consciousness. Consciousness is a problem for atheism in much the same way that the Trinity is a problem for Christians. We don’t have, in our present state, a way to explain it. But it definitely exists. The difference is, Christians will use analogies and tell stories to help understand the Triune nature of God, but atheists pass off the problem of consciousness to someone else to figure out. But it’s far bigger than just consciousness. It’s ontology, epistemology, cosmology, biology. It’s literally everything that atheism cannot explain…and doesn’t even try. Think about it, atheists are okay acknowledging a “Big Bang” while rejecting a Big Banger. Atheists are okay acknowledging that life came from non-life while rejecting the super-natural nature of such a thing. Why? Because atheism is intellectually dishonest. Atheism only concerns itself with the answers available. In fact, the only way to be literally, intellectually “full” “fill” ed (fulfilled), is to stop pursuing intellect altogether. Maybe I’m being a little harsh (I said I might be), but this is the foundation of Dawkins’ book. Before I conclude, there’s one last point to make. It is obvious from the start that this book is an appeal to emotion. Dawkins begins by writing, “Imagine…a world with no religion. Imagine…no Israeli/Palestinian wars. Imagine…”. Well Mr. Dawkins, I’d love to. But there is too much evidence that your view is wrong. There are too many scientific discoveries that make life, without a Creator, impossible. There are too many documents supporting my view to be dismissed by a rhetorically persuasive speaker. Mr. Dawkins, your words must hold up to scrutiny. So far I’m not impressed. But I will say this, I very much agree with at least one piece of “The God Delusion”. Dawkins writes, “I shall not go out of my way to offend, but nor shall I don kid gloves to handle religion any more gently than I would handle anything else.“ Neither should we don kid gloves to handle Dawkins any more gently. Is the author really that stupid to compare Dawkins book to the bible? There is no original bible you could use as reference for instance when you translate it. The author isn’t unknown like the authors of the books of the bible. We also know when The God Delusion was first published, while in the bible there’s not a single date. Dawkins book isn’t a science book by the way. The rest is just gibberish. Good morning, Herr. I hope we can talk through this, you bring a great point. It is often pointed out there there are no original documents to support the Bible. But that doesn’t mean that none ever existed. In fact, we couldn’t have copies at all if we didn’t have an original. Truth be told, we the more copies we have the better we can know what the original said. J. Warner Wallace uses the example of a text message. If all we had were 3 copies of a message that read: “Meat me at 4PM for dinner.”, “Meet mee at 4AM for dinner.” and “eet me @ 4 for supper.” We can can show up for dinner at 4PM with confidence in the original message. In the case of the Bible, we have over 20,000 ‘copies’, each one adding value to the understanding and reliability of the other messages. To put it in comparison, I have never seen the original Dawkins manuscript (I’m guessing you haven’t either). It is the fact that there are millions of copies that substantiate that I don’t need to see the original to have a certainty that I know what it says. Hope this helps to better clarify the issue you present. Does that make sense? Do you have a different view? Please explain. I hope you will find an honest examination in every post here on Clear Lens. If you find it otherwise, you will find every author more than willing to discuss an alternative position. I’m making an assumption that the intent of the challenge from Mr. Judy was to “read more from both sides” in an attempt to gain a better understanding through the eyes of each side. If my assumption is correct and based on this article you failed to accomplish this task. You didn’t even get past the title of your article without attacking Dawkins. Furthermore, the title sets the tone for the whole article. It seems clear to me you came into the challenge with the intent to poke holes in Dawkins book and not really trying to understand his point of view. This is the typical Christian approach. Nothing unique about it. I think you have misunderstood many things written by Dawkins because you view it through your Christian filter. Probably the most concerning thing about this article is it exposes your lack of understanding of being atheist. To make the claim that atheism is intellectually dishonest is to say if I don’t come to the same conclusion as you then I am wrong. It is condescending and egotistical. I wish I had the time to address your article line by line and to address more specifically where I feel you’re wrong, but I don’t as I am writing this on my phone. In the end I feel this article is nothing more than Christian propaganda. Thanks for your thoughts. For the most part, I agree with you. I even made it a point to say this is the only time I intend to write this pointedly about the book. This was part one and only addresses the preface of the book. I did this for a couple reasons, but the greatest rain was because it’s the foundation of book. Imagine all your friends are boasting​ about a book. It’s supposed to prove time travel. You read the whole book and it’s fantastic. Chapter after chapter discusses what happens to the body and how to combat entropy in space. You walk away feeling confident in the author. Until, that is, you read the preface. The author leaves a disclaimer the entire book is science fiction. No research was done at all and everything in the book is nonsensical. How would you treat the preface in your review? It’s what everything else is built on. I’m the case of The God Delusion, Dawkins is clearly appealing to emotion. He is clearly laying an unachievable foundation. He is wrong on his premise. To briefly address my alleged ego. I think their is a significant difference between finding the one view (atheism) wrong, than there is demanding that I am right. With that said, of course I think I’m right, so do you. Intellectual honesty requires dialog, it does not shut it down (like the vocal leaders of the new atheist movement BTW). I’d love to chat about the pieces you disagree with and maybe provide more insight to my view beyond just to post. When you have time, let me know where I went wrong (so I can learn, honestly). Or, will you at least come back for the remainder of the series, which I do not intend to be so pointed. Thanks Roger. I will look for further articles. To be clear, I did not say YOU are egotistical. Please re-read.